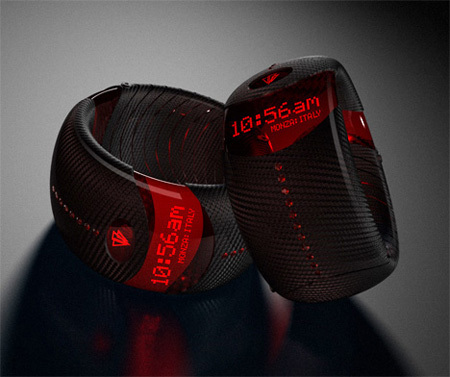 Today’s post showcases ten brilliant wristwatch designs. Enjoy! 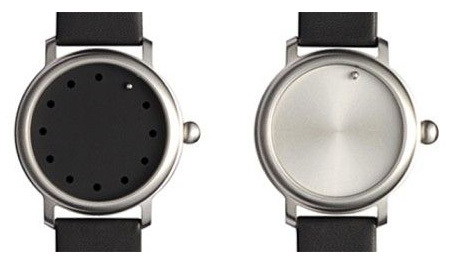 Innovative watch design inspired by a radar screen. Outer arc represents the minutes and the inner arc indicates the hour. 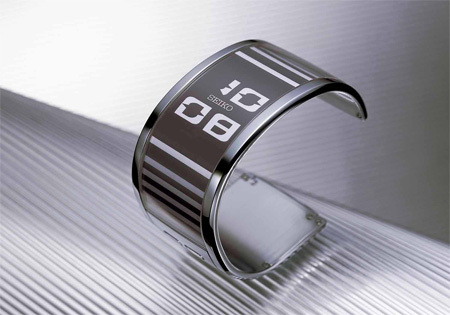 The unique electronic paper display module in this Seiko watch is the result of a joint development effort, bringing together E Ink’s ‘electronic ink’ technology and Seiko Epson’s advanced display manufacturing and electronic circuitry techniques. When combined, these technologies offer a wide range of display design possibilities – including flexibility! 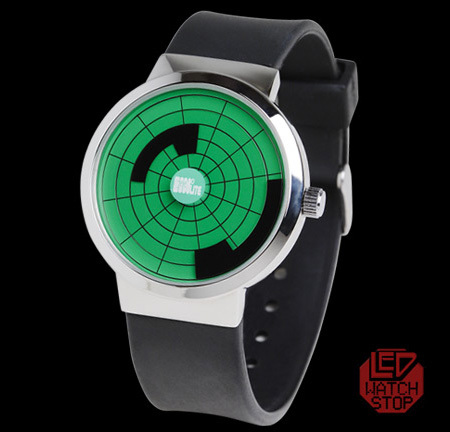 Creative wristwatch inspired by the classic 8-bit look. Beautiful watch from Seiko Japan uses a series of spinning aluminum discs to display the current time. This watch offers you two ways of looking at time – around the circumference of the dial the words “one more, one less” slowly revolve. This presents a balanced way of viewing the passing of time in our lives. The Abacus series of watches has no hands at all. 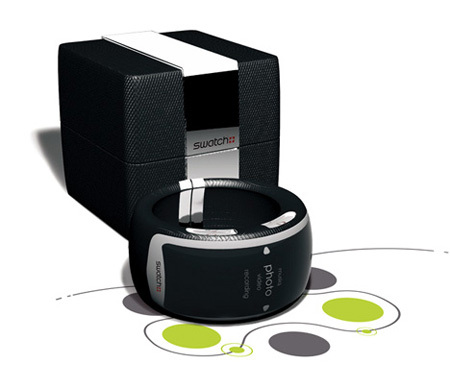 Instead, there’s just a single steel sphere that rolls around inside the watch as you move your wrist around. But as soon as you level out to a horizontal position, a magnet behind the dial stops the ball at the current time. 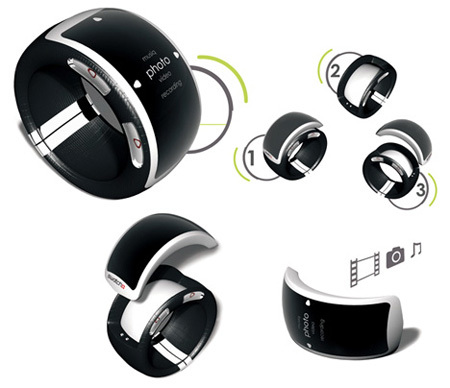 Mp3/Video/Photo Player Watch by Pierre Merlet. Designed by John Pszeniczny, this cool watch is inspired by F1 racing and constructed of carbon fiber, Swarovski crystal, rubber and metal. Five miniature movements are aligned vertically and curved to lie comfortably on the wrist. The stainless steel case has etched airport codes corresponding to NY, LA, London, Paris and Tokyo. Awesome watch magically transforms into a free standing robot. I remember having several of the transformer watches with my friends in the early nineties. 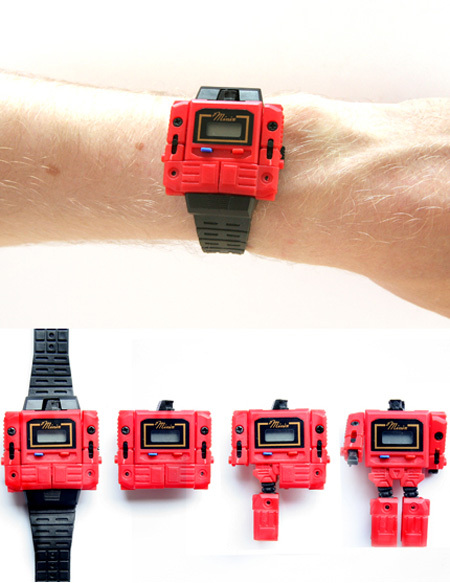 We would all get together and have transformer watch battles. how can i buy “03 – F1 Carbon Watch” model? can U post it for me? The transformer watch is for my child hood, 15 years ago!!! wow how much is that f1 carbon watch??? 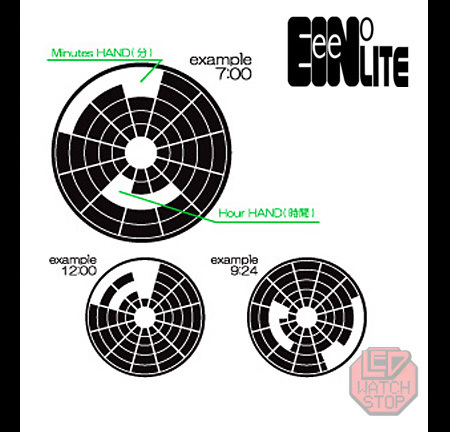 Those watches are actually pretty cool designs. I don’t think I dig the radar one based on its looks. The magnet one is an interesting idea, but no minute hand pushes the balance over too much into style over function. Nice collection, though. Used to love my transformers watch – it woz the nutz! Totally photoshopped, shadows are all wrong. Yes they are Photoshopped, all product shots are. I don’t think this poster is trying to pass these off as his own, he is just showing us some cool watch’. Watches are pretty much useless nowadays. Almost every electronic device displays the time, so why should I bother wearing a watch? Yes, I remember when I had the transformer watch when I was just a kid. 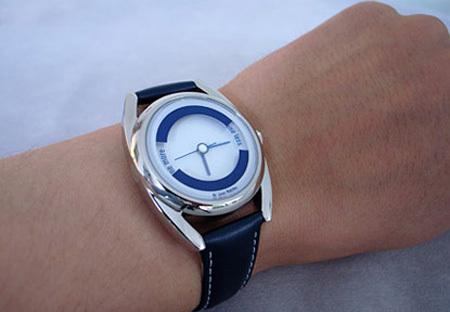 The other watch designs are too futuristic for current use perhaps 20 years from now they will become fashionable. That Seiko “Dicsus” watch is a pretty direct copy of the “mechanical-digital” or “direct-read” watches made in Switzerland in the late-’60s, just before LEDs were inexpensively available. Two of the more common brands were Lucerne and Sicura. Incidentally, those watches were themselves derivative of the Elgin jump-hour watches of the late-’50s, and they of watches made by companies like Juvenia as far back as the 1930s. The configuration of chapters (hour, minute and second markers) on rotating disks has been around almost as long as the wristwatch has. Uff. Very interesting and amazing. What is the prices? I love them a lot. They r all different and swetty. 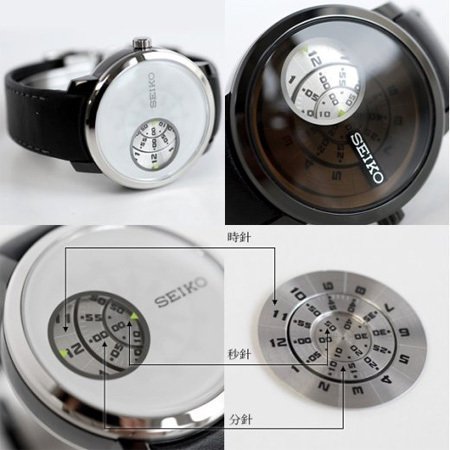 Especially Seiko Paper Wathc and More and Less Watch..I hope I ll ve one of them. 10. one is the best. My Favori’s Seiko Paper Watch , very nice collections. thanks. There are lots of better designs that could be replacing them. i like all of them i injoy designing watches i might consider some of the idears but over all i prefer the good old digatal watch i have a g-shock watch it does a prity good job. a watch is a watch it may be unique but does it do every thing you want it to? I use to have a Transformer Watch! the transformers’ one is pathetic…. 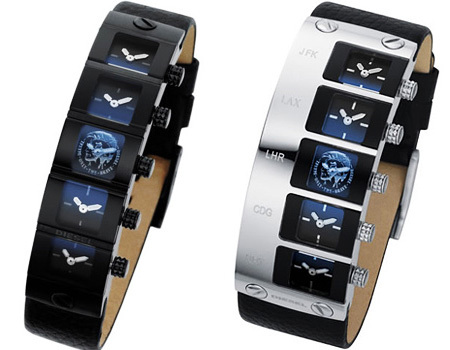 great designs, i have the carbon watch :) was looking to buy a luxury special watch for my husbands birthday but i have no idea what but i want it to be black. maybe i ll customize a daytona on Titanblack or check what Hublot geneve has. very difficult to decide. uff.